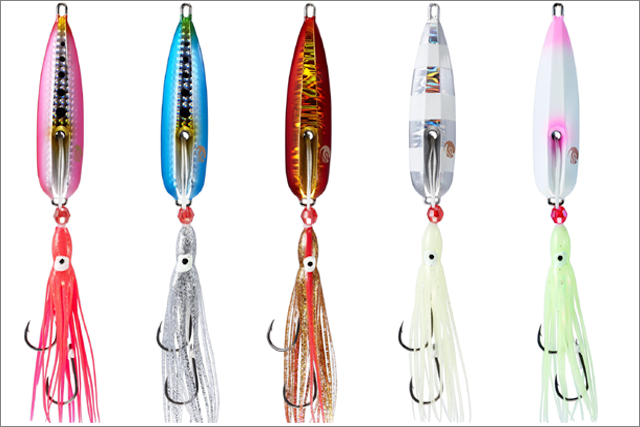 Shimano Bottom Ship Slow Jigs are a modern innovation for slow jigging coming out of Japan. Like the popular Shimano Lucanus lures, these are a great addition to any tackle box. This lure is dedicated to the fish that feed on the bottom or shipwrecks. The Bottom Ship Jigs are specifically designed for deep water work. These latest slow jigs take the blue-water experience to a whole new level. 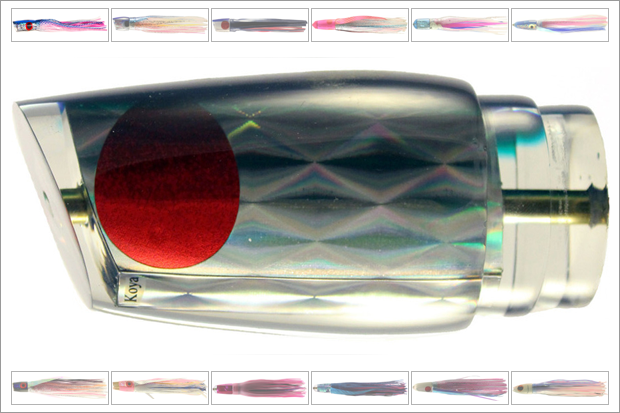 They come in five colors including metallic and lumo stripes, with matching squid skirts. The amazing thing about Bottom Ship Slow Jigs is their versatility. Fish them with a slow retrieve for a meandering movement through the water. Alternatively, you can work them with a slow jerk so they virtually jump about on the spot, or hop them up and down across the bottom. With their strong colors and flailing skirts, neither demersals nor deep cruising pelagic fish can resist bottom ship jigs. Keep in mind that Slow jigging is about the movement or presentation of the metal jig. Your goal is to mimic squid or an injured fish. When you fish the Shimano Bottom Ship Jigs, use a slow and steady retrieve to create a meandering movement through the water column. This will attract the attentions of predatory species looking for an easy meal. Alternatively, you can use a slow jerk technique to spark prey-drive in lethargic predators during a slow bite period. Conversely, you can hop Bottom Ship Jigs up and down across the bottom when your targets are feeding with their noses in the sand. The fluttering motion of a jig with great suspension-ability underwater invite target species to strike and bite. Slow pitch jigging takes advantage of this natural flutter. Slow and subtle jig presentation happens while lifting the rod with a variety of ¼, ½, or full retrieve. For this technique to be effective you must use proper slow pitch jigging rods with overhead reels. Slow Jigging rods have a slow taper design. The rod does not have any strong back bone as it is designed to present the jig but not for fighting the fish. The disadvantage is that the burden of fighting a fish is put solely on the reel. Consequently, the angler needs some experience using this technique when fighting a fish. First of all, you can use extremely light tackle with Shimano slow jigs. Slow Jigging is more conservative and less tiring on the angler. Shimano uses 250 pound Power Play braid to rig their Slow Jigs. They come with corrosion resistant fluorine-coated hooks with vibrant and enticing squid skirts. They are available in a stunning new range of color profiles that match natural food items. Available in 90gm (3oz), 110gm (4oz), 135gm (5oz) and 160gm (6oz) sizes. 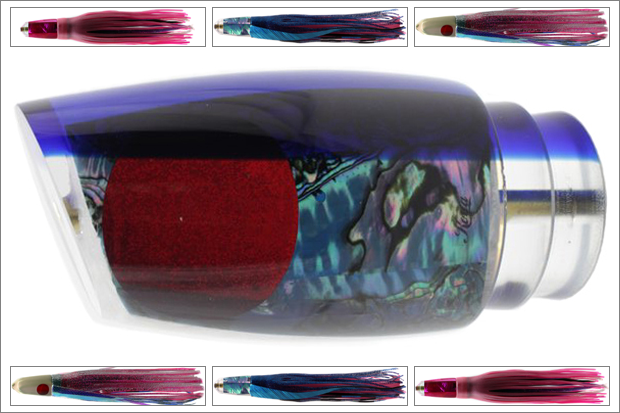 They come in five cool colors: Glow – Glow Zebra – Red Gold – Blue Sardine and Pink Sardine. This range covers fishing opportunities from the shallows to well offshore.